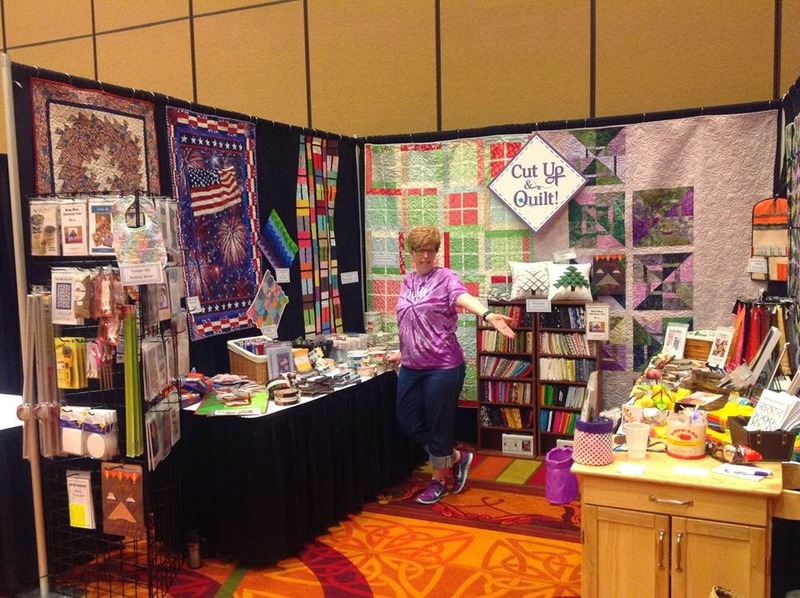 I went to the Omaha Quilt Guild Show yesterday with friends. It's always fun and inspirational. Plus there are vendors! As we strolled around, this quilt caught my eye. I loved the design from a distance and had to get up close to see how it went together. I can't understand why it didn't get a ribbon as it was so unique and eye-catching with a modern feel to it. I would love to follow the judges around to hear their comments. 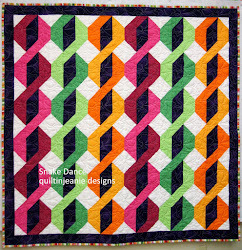 I don't know what division this quilt was entered in...maybe too many other gorgeous quilts competing. 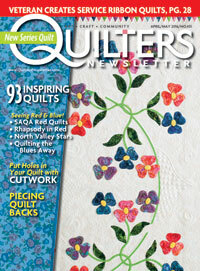 I forgot to take a picture of the tag, and can't read it even when I enlarge, so I can't give credit to the quilter. From the write up I think she designed it herself. This one was my favorite! I didn't take a lot of pictures as I got caught up in just looking at all the interesting designs and intricate quilting. This one was interesting because it had a 3-D effect...you know how I love that! Her quilting was intriguing too. there too...they were looking pretty happy from a busy day in their booth! 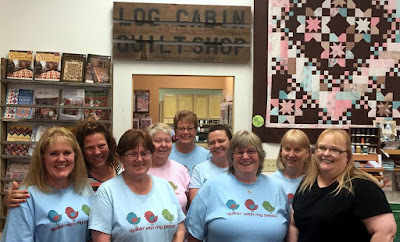 They are also participating in the All Iowa Shop Hop, so stop in sometime this month to get your very own Iowa fabric and see all of their goodies! If you haven't visited the show yet, they are open today until 4. Here are the details. Today I'm going to Junkstock Omaha with my daughter. Haven't been before, so it should be interesting. They are open through tomorrow. I am glad you took some photos. The junkstock isn't far from my home. I am still catching up from returning from NY. Tomorrow I have to start drinking that stuff for Monday's procedure. 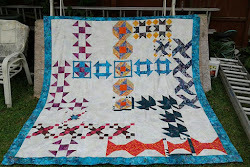 Make sure you go to my blog site, some great quilts from a church member. 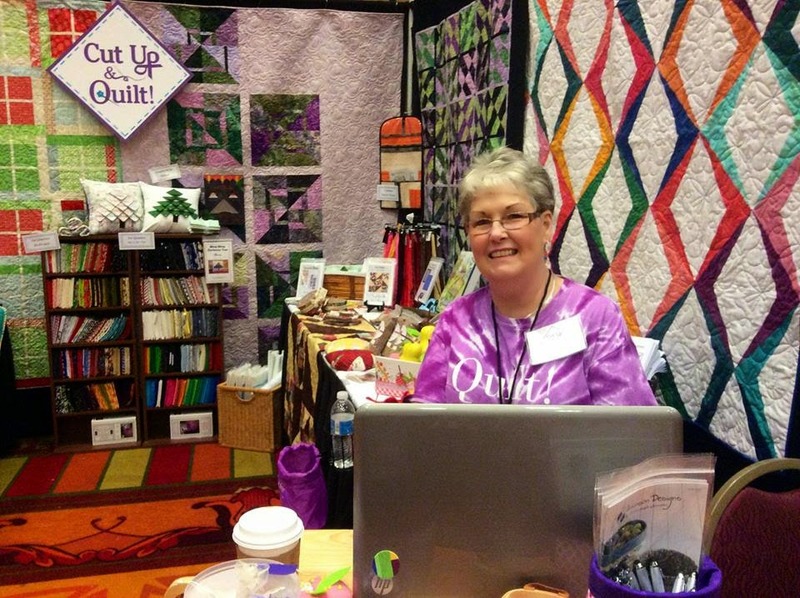 I saw that top quilt also and wasn't able to figure out the block. It is a very interesting pattern. Thanks for sharing these photos.There are fabulous designs!! Fascinating designs. I have long since given up trying to work out what goes on inside judges' heads!